After ten months of evaluation and experimentation, Paramount has decided that Redbox is not hurting its DVD sell-through business and has extended its agreement with the kiosk operator through the end of 2014. 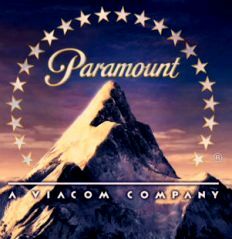 Paramount’s attitude stands in stark contrast to that of other studios such as Warner, Fox and Universal. Why has half of Hollywood decided to embrace Redbox, while the other half has seen fit to try to sequester it behind delay windows? Why are Tinseltown bean counters coming up with such different conclusions as to Redbox’s effect on DVD sales? Leave us your opinion in the comments. Now if Warner, Fox, and Universal will just confess what Paramount and Disney have concluded then we can get rid of these stupid 28 day delays. Ditto, and ‘confess’ is a good choice of a word to describe the other studios unwillingness to admit their theory was wrong and that Redbox $1 rentals did not devalue/ were not the reason for the studios’ decline in dvd sales! lets face it some people have balls … some dont …. to buy a movie i will LIKELY only see 1 time. i watch too many movies to see them again. i prefer free! … watch once and dispose of … thats what i do!!! And you expect a business to run off of freeloaders such as yourself? As a Redbox fan, you make me happy that you are personally killing off the blockbuster business that you love so dearly. If you loved these business so much, you wouldn’t be helping their demise! i get hbo too and even with a hd dvr … i rarely timeshift a movie! id rather watch it off the computer where it is digitaly regenerated and immediately presented on screen by a quality box/computer. i have verizon FIOS and they have always had dropouts in the movies. i find that so annoying that i never do pay per views and never record and timeshift movies. watch. i only use hbo for series disks like entourage etc. i then use dvr to timeshift to my time! all hdef! Good deal for Redbox. I must admit that this deal surprises me given the rumblings I’ve heard from the Paramount offices. Perhaps Paramount has decided that BBI is going to go down faster than they thought and they are deciding to jump ship to Redbox before the CH. 11 filing. The BBI numbers are definitely deteriorating faster than they expected. Anyway, this is a win for Redbox and a win for their customers. It’s a great deal for Paramount as well as they are increasing the amount of money they make. “There were two conclusions we came to,” said Dennis Maguire, president of Paramount Home Entertainment. “There hasn’t been a cannibalization of DVD sales from Redbox, and Redbox was allowing us to expand our business and ultimately make more money” than if the studio held back its DVDs to Redbox for a period of time. Gee, thanks for the info, where in the world did you find it, oh yeah at the top of the page in the article that this discussion is all about! LOL! Short term gain for Paramount. Long term loss. Like I said, it looks like they are cutting their losses with BBI and trying to get as much of the much smaller Redbox market share that will remain. Paramount is well known for trying to cut their losses early on investments. This looks like another one of those situations. Ever think that just maybe Iger, Paramount and others are making a rational decision in passing on the 28 day delay? Crazy as it sounds perhaps they are better informed on the subject than you. Well, that could be the case. Maybe they like the fact that their titles underperform when compared to the titles from the studios who have a 28 day delay? It looks like Disney and Paramount are just accepting the new normal of lower sales levels rather than trying to fight back like the windowed studios. They can say that there is no corrosion of sales on their titles but it isn’t true. I don’t think they are saying there is NO corrosion of their sales but that they don’t see redbox as being enough of a factor on that corrosion to pass up on an opportunity to guarantee themselves some specific numbers going forward on future releases. It’s smart business and will allow them to plan better by also removing some points of uncertainty. They are accepting a change and deciding to step up to the challenge. It’s actually quite a refreshing change to see. Firstlawofnatures true identity is Eric Wold. C’mon guys. FLON may be an idiot and have no idea what he is talking about and even be a Coinstar shill. But even he is not as shameless as Eric Wold. IMHO I don’t think the 28 day delay does anything but piss off customers. If they want their movies for $1 they’ll find a way to get them…at BB Express kiosks. Disney and Paramount are wise to this, but Warner, Universal, and Faux aren’t. It doesn’t matter whether or not they have 28 day delays, they’re not going to make DVD Sales go through the roof again. That ship has long since sailed. There is a lot more to this than meets the eye. Paramount knows that the future of movies sales will take place at a theater or digitally over the internet. A redbox kiosk is merely the best current delivery method. That will change as Netflix and Redbox both acknowledge. The future players seem to be Redbox, Netflix, Amazon, Walmart.com, Apple, and CinemaNow. I am guessing that any or all of these could survive (however history shows that only three or four will likely survive) with different approaches to the market. BB is dead as a future method of content delivery. It is best for the studios to “make friends” with any potential future delivery system. The lines between ownership and rental will blur a little. You will see a shift in delivery prices that more closely match demand. You will have the option own it for one price or rent it for another at different intervals after release. Fighting the future is a wasted cause. It is better to embrace it and try to stay ahead of the curve. BB is a great example. You can fight it and deny it for a while but it will blowup in your face because you will have lost touch with the needs of your consumers. Agree that BB demise is they lost touch with the needs of their consumers. However, I still feel that there will always be a need for a tangible/physical dvd (rental or sales) for consumers instead of totally digital. I remember watching 60 minutes with Andy Rooney talking about how special it was to receive hand written letters from friends/loved ones, etc. but how now it’s all emails. Years after receiving hand written letters a person still takes out those hand written letters and reminisces/feels an emotional connection to the memories that the tangible piece of hand-written paper brings. Same with how holding an old record album brings special memories. Not so with deleted emails or digital songs, etc.–nothing to hold on to. It’s the substandard movies the studios are turning out combined with the high cost to buy those dvds that aren’t meeting the wants/needs of consumers. I belong to both Netflix & to Blockbuster. What I can’t get at Redbox due to 28 day delay I rent at BB. Usually whatever movie I want if it is not available at Redbox/Netflix then it is on BB & vice versa – works quite well. I never buy new release movies!!! And when I do it’s only on amazon or ebay for cheap. They are pretty stupid if they think by delaying rental date people will buy it on DVD. Their LOSS! Because Redbox is kicking blockbuster and others butts. Blockbuster was so greedy with their rentals and late fees, that they forced people to begain to download movies and the birth of REDBOX. Now we want ps3 games for a max of $3.00 per day or $5.00 for 3days. These rates would best best for the greatest rental vol. Assessing the money flow is another essential element within the organization strategy format, so as to sustain a normal money flow to meet the essential capital needs. Probability of monetary crisis and also the methods of crisis management must be mentioned within the structure. The business technique should consist of the advertising plans and technique leading to the expansion in the organization.